Boney James is called a superstar. After George Benson gave us the night and Fourplay touched the sky, a rare term for a smooth jazz instrumentalist. 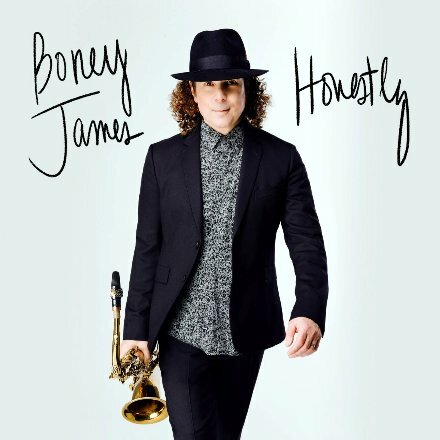 On September 1, 2017, Boney James will release his 16th album entitled Honestly. The title describes Boney’s approach to music: “The word ‘honestly’ really reflects how I aspire to live my life and create my music”. For Boney stands the captivating and entertaining effect of his music in the center of his consideration. Boney performs all of the tenor and soprano saxophone parts on Honestly and contributes keyboards and drum programming to several of the tracks. According to the press information vocalists Avery*Sunshine (on the title track) and Eric Roberson (on If I Can’t Hold You) are exclusively mentioned on his new album. It’s been a full quarter-century since a young saxophonist and composer released his debut recording as a leader, Trust. Now, on September 1, 2017, Boney James will release his 16th album, this one titled Honestly. If you sense a direct line between those titles, you’ve already come a long way toward understanding what motivates the four-time GRAMMY nominee and multi-platinum-selling musician. Four-time GRAMMY nominee and multi-platinum selling Boney James is a true smooth jazz superstar. His 15th CD, futuresoul contains 10 original songs produced and written or co-written by James and is one of the rare chart-topper on Billboard holding the #1 for more than 10 weeks. The list of participating artists is huge. Among them are famous names such as bassists Alex Al and Dwayne “Smitty” Smith, percussionist Lenny Castro, drummer Vinnie Colaiuta, keyboardist Phil Davis, pianist Gerald McCauley, and many more. To keep the interest of the audience awake, it is crucial for a musician to constantly reinvent himself. Boney James has internalized this wisdom. On Drumline he combines shuffle beat, with a strong bass line in support of his saxophone presentation. 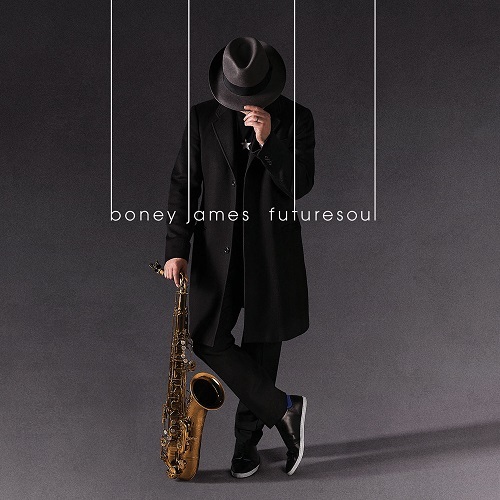 Four-time GRAMMY nominee and multi-platinum selling sax-man Boney James continues his artistic evolution with the dynamic futuresoul. Fusing his love for vintage soul music with his mastery of modern production, Boney has created another genre-bending work following on the heels of his 2014 GRAMMY-nominated album The Beat. This collection features 12 of the hottest, recent Smooth Jazz hits, straight from the tops of the Smooth AC and Smooth Jazz charts. Featuring tracks by Mindi Abair, George Benson, Boney James, Kenny G, and Dave Koz, among other stars of the genre, Smooth Jazz Hits: #1 Chart-Toppers features original hit songs, plus grooving covers of favorites such as the Beatles’ ‘Got to Get You Into My Life,’ Michael Jackson’s ‘Shake Your Body (Down to the Ground),’ and Ne-Yo’s ‘Champagne Life.’ This collection delivers a soulful, classy, and fun way to get the party started! 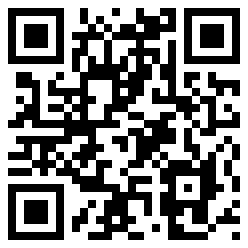 Get this Smooth Jazz collection at Amazon.com. Smooth jazz. Soprano saxophone. Cover of pop or R&B ballad. Generally, that’s a recipe for blandness – a sound that’s trite. However, make an arrangement that doesn’t merely turn a vocal into an instrumental and put some competent musicians behind it, and you can get something that sounds really nice. So it is when Boney James brings in Vinnie Colaiuta on drums, Lenny Castro on percussion and Brandon Coleman on keyboards – the combination for his cover of Stevie Wonder’s “Don’t You Worry ’Bout a Thing.” It’s a charming opening to The Beat (Concord Music Group, 2013). Economic yield says little about the qualities of a musician. Four gold albums, three Grammy nominations and sales totaling more than 3 million records, nevertheless speak for themselves. Boney James is without any doubt a smooth jazz superstar. Meet with each new release the expectations of his fans, is no easy task. 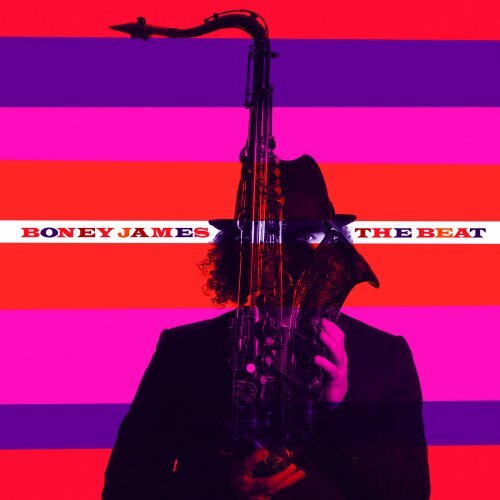 Even so Boney James has made this object once more with his album The Beat, scheduled for release April 9, 2013 on Concord Records. The qualitative implementation of his musical ideas ensure musicians like Brandon Coleman (keyboards), Vinnie Colaiuta and Omari Williams (drums), Lenny Castro (percussion), Rob Bacon and Jairus Mozee (guitar), Dwayne Smith and Alex Al (bass), Richard Braun (trumpet) and many more.